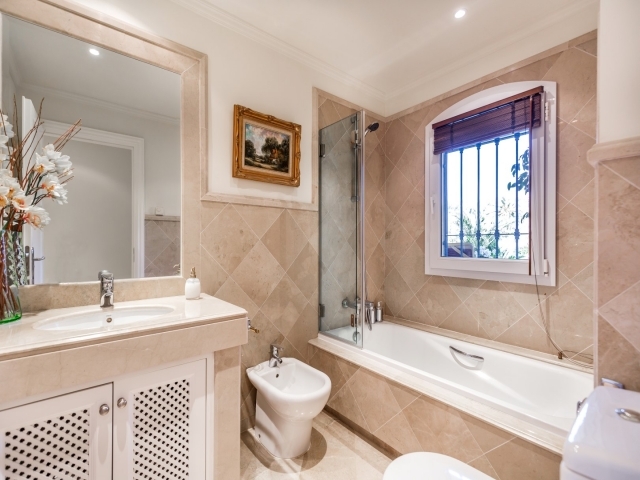 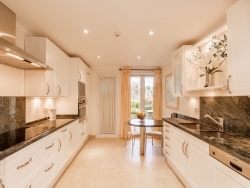 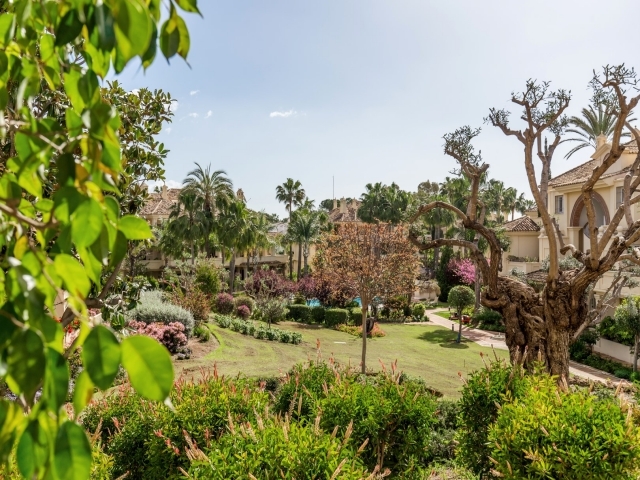 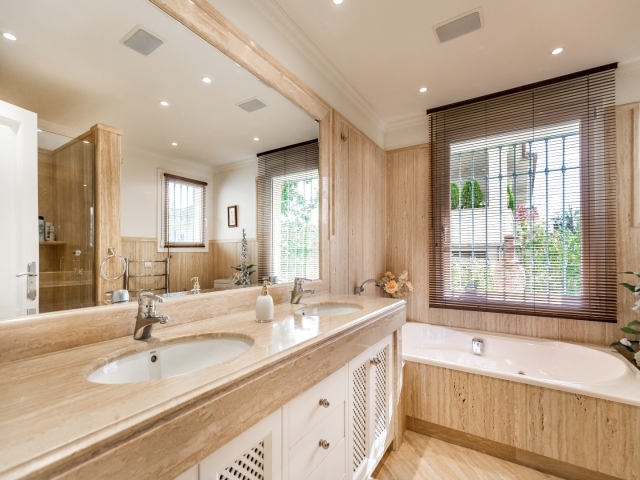 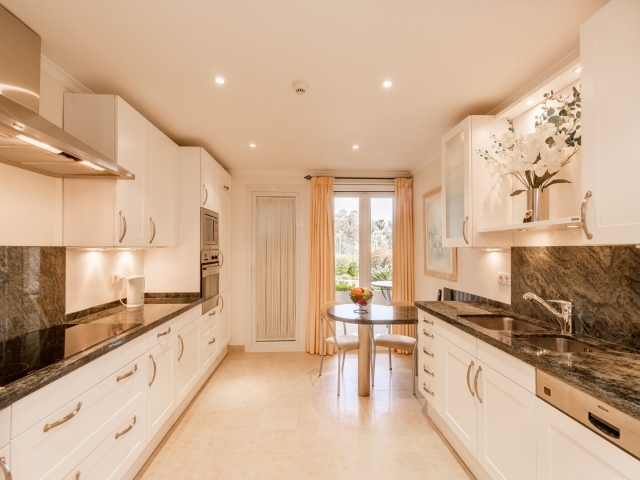 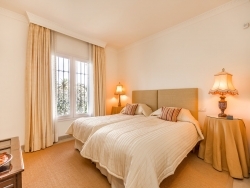 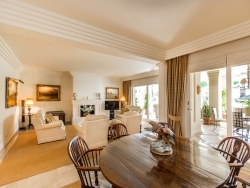 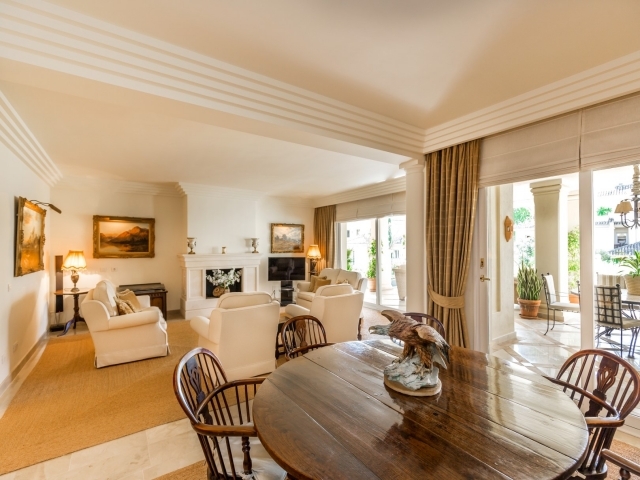 Spacious three bedroom ground floor apartment for sale in Las Alamandas, a luxury residential complex nestled in the heart of the Nueva Andalucia Golf Valley. 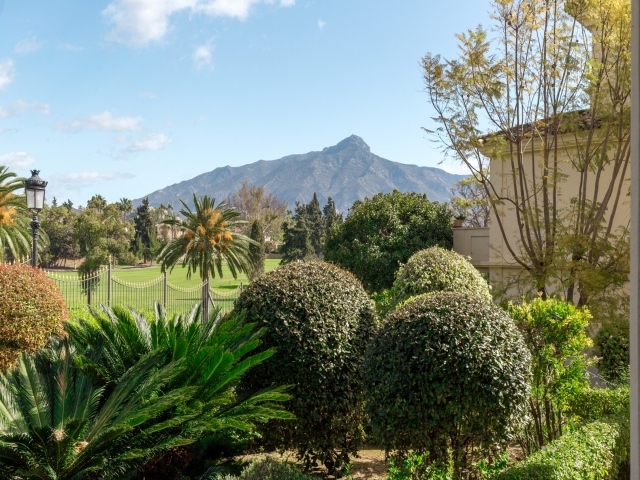 Situated close to three of the most renowned courses in the area, Aloha, Los Naranjos and Las Brisas, Las Alamandas offers beautiful subtropical gardens, three communal swimming pools, a gym, sauna and 24 hour security. 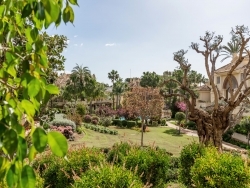 This south-facing unit enjoys lovely views of the amazing communal gardens and pool. 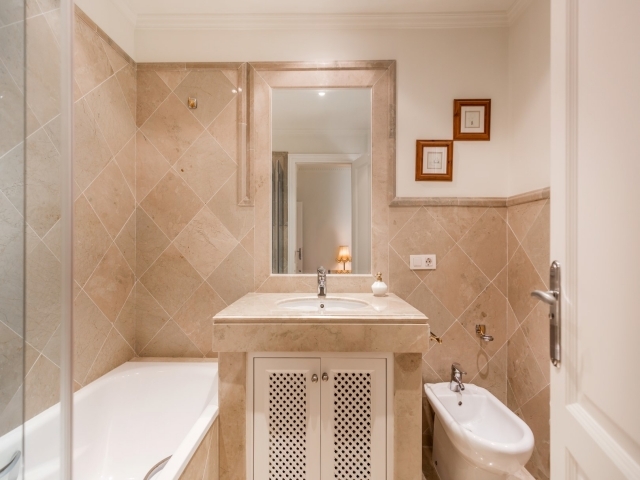 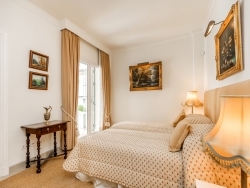 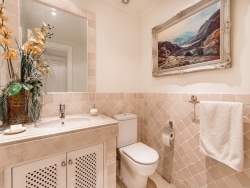 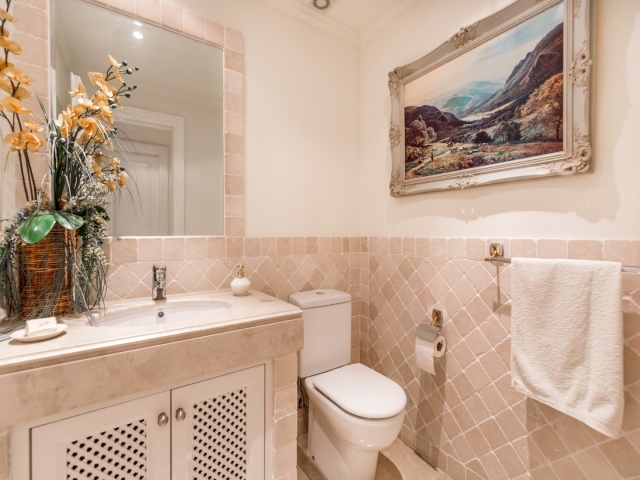 Accommodation comprises an entrance hall, guest toilet, combined living and dining room, large kitchen with breakfasting area, three good-sized bedrooms and three bathrooms with under-floor heating. 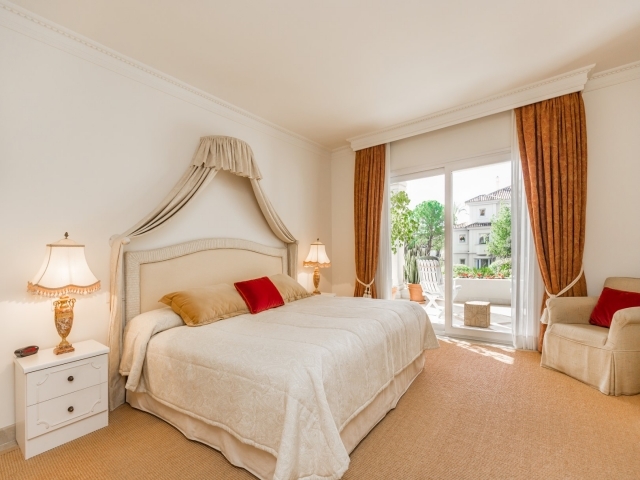 Externally there are spacious terraces with ample space for sun beds as well as lounge and dining furniture. 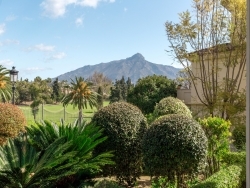 In an excellent location for avid golfers, Las Alamandas is also a popular choice for couples and families; just a five to ten minute drive to Puerto Banus, international schools and the beach, there is something for everyone close at hand. 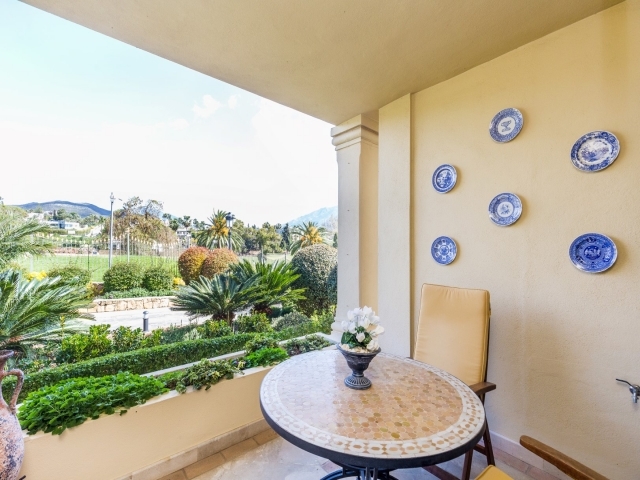 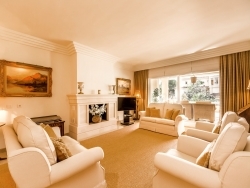 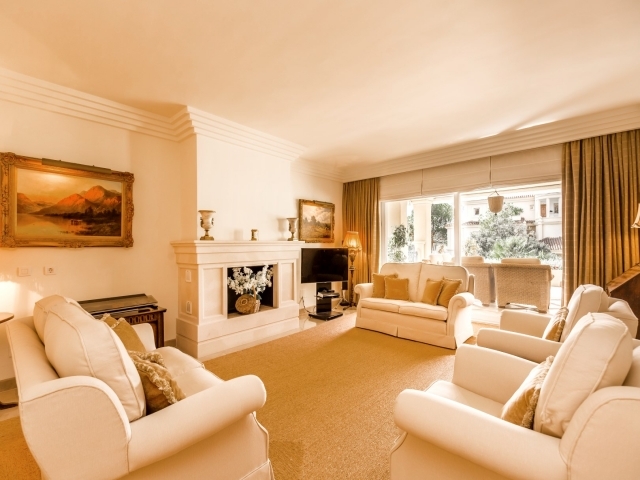 A delightful apartment in a highly sought-after location in the Golf Valley offering comfort, privacy and security - perfect as a family holiday home or permanent residence, it also offers fantastic rental potential.